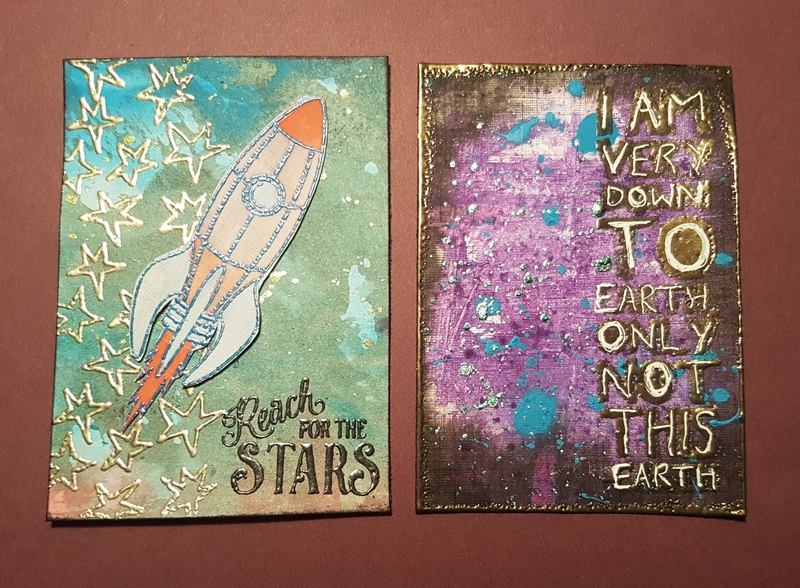 Time for another ATC swap with the Facebook group Artful ATCs and the theme this month is Out of this world. I chose to add some embossing to the card and then layers of brushos and then distress oxide. Then I embossed the rocket, fussy cut it and then coloured it with Distress oxides. The second card is a painty background and I added the embossed quote and then went over it with a gel pen to show up the writing more. Love these and hope the recipient does too!